If SMEThermal 2012 was a success atracting over 170 key players from solar thermal industry, SMEThermal 2013 will surely be even more intresting having in view some of the topics that will be discussed. SMETHermal 2013 will take place on January 29, 2013 – in Berlin and you have to save the date and be there to participate to the leading international solar thermal industry conferences along with key players from solar thermal industry, collector and tank manufacturers, specialists in production tehnology and material suppliers. The hot topics of SMEThermal 2013 are: Technology Outlook, Pros and Cons of new absorber models, Trends in the tank business.If you want to know how the solar thermal systems and components will look like in 2020, you will have the opportunity to see the representative of research institutions and consultancies presenting and discussing their ideas regarding the future technology development and market. If you are interested in a comparation between the new absorber materials and technologies – roll bonding, polymers and aluminium profiles, research companies and manufacturing specialists will take you into a journey trying to determine which one is best in the manufacturing process, which are the cost and the performances of each one. If you want to know which are the the results of an international survey among 300 solar tank manufacturers, SMEThermal 2013 will provide the exclusive results in the storage tank session along with another focus in the EU framework for enameled storage tanks and the impact that these has on the industry. 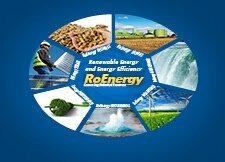 For the first time, all the participants are invited to attend the Opening Dinnes on the evening before the conference starts, on January 28, 2013, between 8 – 10 pm with drinks and oriental food included, as the organizer, the German renewable energy service provider Solarpraxis AG announced. The conference language is english. Online registration is available now on the conference organizers website. Save around 20% for early bird registration before December 2012! If you are ESTIF member you will benefit from an additional reduction. You can also book for the conference dinner online, in a separate form.